My husband is a commercial fisherman, and he and I both love to sport fish, so needless to say we have fish in our freezer most of the time. 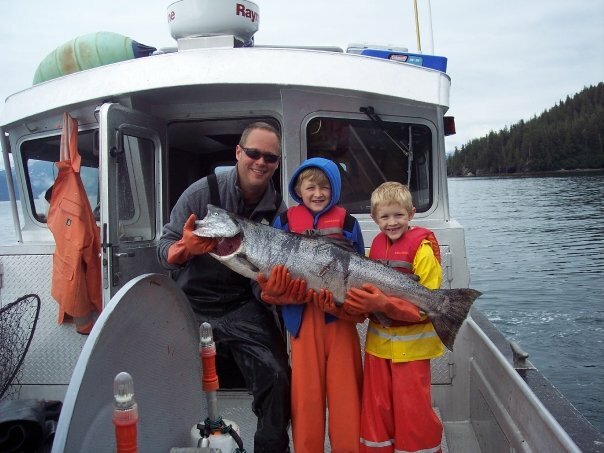 Salmon is our staple fish, but we also catch halibut, rockfish, and cod. There are a million recipes for preparing fish, but I want to share with you two of our family favorites. One is for salmon and the other is for halibut. 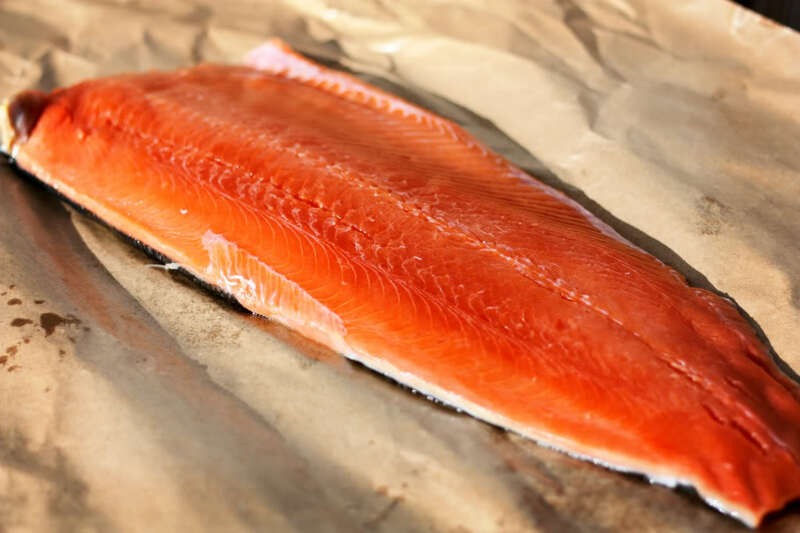 The Salmon recipe can either be prepared in your oven or on a barbecue, but step 2 will need to be accomplished in a frying pan. The halibut recipe is for a conventional oven. 1. In an 8×13 glass pan, pour in the 1/2 cup of soy sauce and place salmon fillets meat side down in the sauce to marinade. Let the fish marinade in the soy sauce for at least 10 minutes or longer if you prefer. If you are going to barbecue, make sure your grill is hot before you get to step 3. If you are cooking in your oven, you will use the Broiler setting and will begin preheating now. 2. When the meat is done marinading, heat a skillet on your stove top on medium and melt the butter. Remove the fish from the glass pan, turn it over (skin side down) and shake your cajun seasoning all over the flesh. You can do this to your liking depending on how spicy you like your fish. If you have kids who don’t like spice, then just give the meat a light dusting all over with the seasoning. 3. Cook the salmon, meat side down, in the melted butter of your frying pan on medium-high heat for about 3 minutes. You only want to brown the meat slightly and cause the seasoning to blacken, but not cook the flesh all the way through. If you are going to cook the fish in your oven, prepare a broiler pan by pouring about a half a cup of water into the bottom of the pan, then attach the top half and spray it with oil. 4. Remove the fish from the frying pan, and place skin-side down on a greased broiler pan (if you are going to cook it in the oven), or directly on your heated barbecue grill. Drizzle the meat with honey and begin cooking. In the oven, place the broiler pan on the middle rack and cook on the broil setting. As a rule, fish needs only to cook for about 10 minutes per inch of its thickness. So if your fillet’s are two inches thick, do not cook more than 20 minutes, and check the meat after 15 minutes. Salmon is done when the meat flakes when pierced with a fork. It will also take on a more opaque characteristic. Test your meat at the thickest part, and if it needs more time, check it at 3 minute intervals. 5. When the meat is tested and is opaque, and flakes away, you are ready to remove it from the oven. Drizzle again with honey and serve! You should be able to remove the meat from the skin using a metal spatula as you serve. We like to eat this with rice, honey glazed carrots, and other steamed vegetables. 4. Dip each strip in the melted butter and then place into the Ziploc bag of crushed crackers. Shake the bag to coat the fish strips. 5. Remove the fish strips from the bag and place on a cookie sheet with a little space between them. 6. Place the cookie sheet in the oven on the middle rack and cook for 10 minutes. Again, the rule of thumb is 10 minutes of cook time per inch of meat thickness, so start with 10 minutes, and then check to see if it is done. 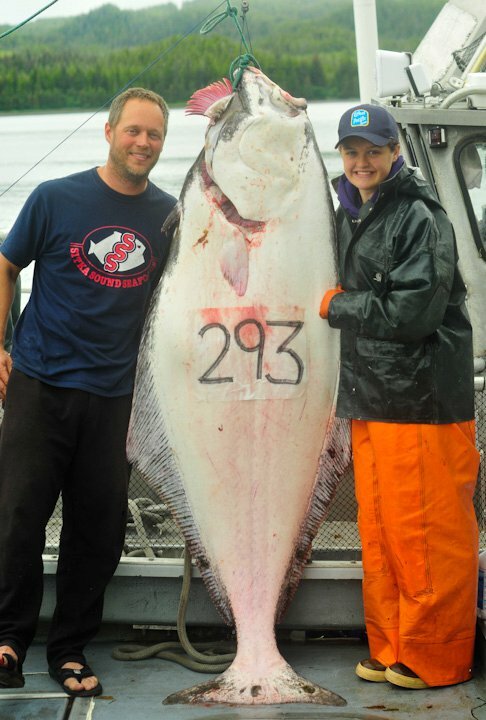 Halibut will become less transparent and more opaque, and will also flake away when pulled with a fork. Do not overcook, as you will end up with a very dry and chewy fish rather than a moist flakey one. Thanks for this post. The other problem with farmed salmon is that they undervalue wild fish. When consumers buy wild fish, they are investing not just in a meal, but in the wild places salmon need to thrive. When consumers buy a farmed salmon, they buy, well – toxins, sure… but what they are ultimately investing in is the end of wild-caught salmon. We know the struggle of re-educating restaurants and grocery chains on the value of wild salmon both as a meat and as a natural resource. I am glad to see that much has been written and published on this matter. Fishing is our way of life here, as well as our income source. I wouldn’t have it any other way. I pray it stays that way. Thank you for the recipes! I made the salmon one tonight for supper, and it was delicious! You are welcome!! I am glad you enjoyed it. My kids love this one too, and I love the flavor combinations. A literal interpretation of your husband “bringing home the .. ermm .. halibut” .. I’ve never actually cooked what I caught before so I bet it brings a whole new level of satisfaction!